Music insiders are saying that Whitney Houston's writers ad publishers will benefit from the anticipated posthumous sales of the late singer. 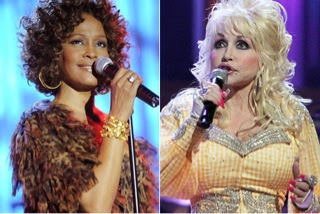 Dolly Parton which is the writer of "I Will Always Love You" will rake in most of the earnings as the song is Houston's biggest song. Sadly for Houston, all of her songs are not written by her and she will only earn from album sales which according to estimate is $2 per album. Unlike the case of Michael Jackson, which most of his songs were written by him. He earns from royalties for every radio performance and album sales. Reports are saying that Houston is broke and had a lot of advances from her record label. She might even owe the record label or just even break even.